The headline on a Philadelphia Inquirer alumni site on LinkedIn jumped out at me. "Newspaper reporters have the worst job." Beneath - a link to a Wall Street Journal story that actuaries have the best job in America and reporters the worst with a median income of $36,000. Couple that with the stress and long hours and for the first time reporter topped lumberjack as the worst way to earn a living. It seemed impossible how far the profession had fallen since my youthful dreamy-eyed days of becoming the female version of Woodward and Bernstein. Than again, I have experienced the pain of endless lay-offs and buy-outs with friends and former colleagues. The quote by a reporter at the end of the WS Journal story struck me: "I’m not sure I’d be happy in another setting. I can’t think of any job that would be as exciting or as fulfilling as this. People in the community are affected by what I write." Which brings me to Morning at Wellington Square. What to do when you lose your career? How to move on? Not only had I lost a career, but the man I loved. I was alone. I was an empty nester with nothing left to lose but to venture out and take a risk . . . which is where the memoir picks up. 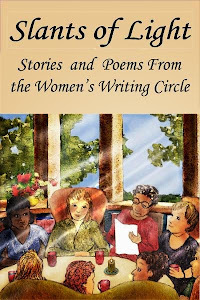 I found "pearls" along the way, which was discovering that writing stories from the heart was a talent I never knew I had; better yet I could share that with others and collaborate with them on writing more stories and together we could make a difference. For the next three days, I'm offering Morning (it's no coincidence that the word is in bright yellow letters on the cover . . . it represents sunshine, light, a new beginning) for free on Kindle. What better time than Spring to offer up my story of renewal? 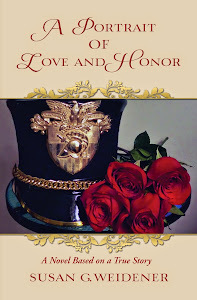 As memoir writer Mary Gottschalk wrote in her review of my book. "Throughout her first book, Again in a Heartbeat, the reader senses a nub of strength at the core of this idiosyncratic woman who is raging against the fates. 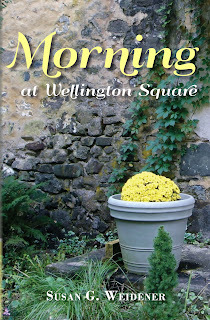 But in Morning at Wellington Square, she stops raging and begins to build a solid foundation for herself as a writer. There is a wonderful, sub rosa metaphor in the fact that Weidener finds her identity in mentoring and supporting other writers ... and at the same time, writes a book that tells a compelling story in a most lovely, lyrical way." From the newsroom to a little bookstore called Wellington Square, I went from the "worst job" to a new beginning. Do you have a story to share about finding a new beginning? Susan, MORNING AT WELLINGTON SQUARE is a powerful story of hope and resilience after loss. It offers inspiration to others. Sometimes what seems like the end is really just another new beginning. Mary's eloquent review nails it. Congratulations! Thank you, Kathy. Who would ever have thought that years ago as a newswoman bent on staying behind the scenes and telling other people's stories, I would be sharing the most intimate details of my life. Indeed . 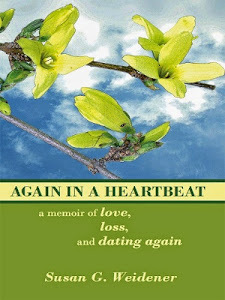 . . new beginnings, a new "morning" of connections and relationships through memoir.